Boys and Girls….Be ready to have all the Las Vegas fun here! You find games more interesting and love to play CASINO GAMES including roulette, blackjack, craps and different types of poker so here’s its one for all. BAM Casino parties bring poker tournaments in Bay Area for you to double up the entertainment level. 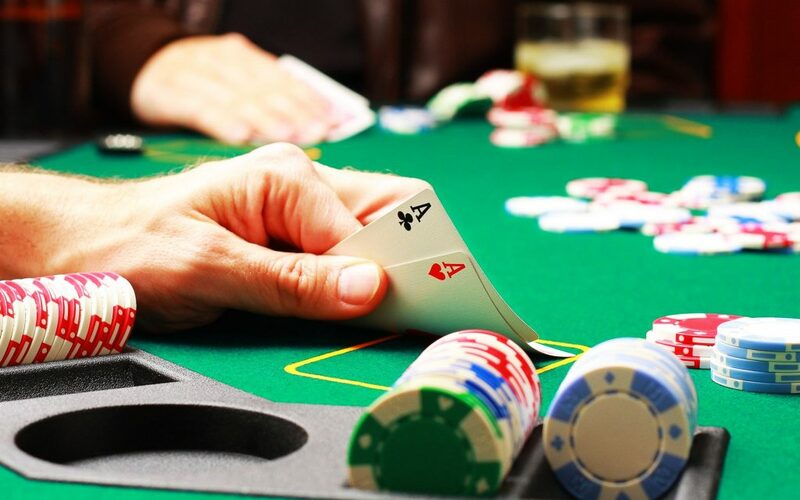 Roll up your sleeves to have the best Poker tournaments experience in SF Bay Area. Join BAM casino parties for exciting Poker tournaments and other games like blackjack, craps & Roulette. Basically, it is a poker competition where players receive a definite amount of chips in case of buy-ins. The tournament will have a prize pool as per the number of players registered and a collective buy-ins. Usually the tournaments having the biggest prize pools have the highest buyins. The number of players totally depends on the tournament. Most probably poker tournaments have a maximum number of players. These numbers can be as low as 9 to 30,000 for a big multi-table guaranteed event. To build your game you must apply these principles if you want to play a successful poker game. There are few things to keep in mind while playing the game that can provide you the best results. Patience: Oh Yeah!! You heard it rite! Let’s make ourselves very clear, in the game of poker patience=money. Patience in Poker will definitely serve your purpose of staying in the game. This means just wait for a good starting hand before throwing any money into the pot. Just remember a good poker player only plays approx. 30% of his dealt hands. Play Aggressively: Once you are having your cards play them aggressively! So, you have the best hand, bet it and force the weak players out of the game to get your chance to win. Study the other players: Guys here’s one for you, don’t get too much indulged in your cards that you fail to observe the other players actions. Just watch up do they fold when bluffed? What card they are betting on? What are their staring hand movements? The power of observation in this game will definitely lend you money and get you win. Know when to quit: It’s important to take a break and set your mood light as you need to be focused and sharp at the poker table. Just know when you are feeling tired or are really frustrated during the game. Pick your Game: The ideal situation for a player is a table that you are comfortable with the betting limits and you believe that you are the top players. In case you ever have a feeling that you are weak do not hesitate to get up and find the other table. Wait patiently on the table that you are comfortable and then begin harvesting your chips. Avoid playing with your rent money: Just avoid playing with the rented money as studies shows that the players who have this much on stake play more weaker. At BAM casino parties, we bring forward various types of poker tournaments that are listed below and may be helpful for all of you. Sit & Go Tournaments: This tournament may possess 180 players that may vary from 1 table to 20 tables. They have no specific time, as soon as the required number of players have registered the tournament begins. Sit and Go tournaments are mostly held for the persons who do not have enough free time to play. Free Rolls: These are totally free and a player requires no buy-ins to enter the tournaments. Freezeout Tournaments: The tournaments starts at a fixed time and possess a specific chip stack and as soon as these chips are lost a player is eliminated from the game. Turbo Tournaments: These have the higher levels and these don’t last till long time. Multi-Table Tournaments: The tournaments have a fixed time and is played having many tables. These are basically used for the big tournament events that allows thousands players to enter the game. Double Stack tournaments: These tournaments are most popular among the players who love to play the game for a longer time. The player may begin his game with a bigger pile of chips to play further. There are many reasons why people love playing poker tournaments. The players definitely find an adrenaline rush while having the big chip stack. Nobody can feel what it is to experience the game of poker and this is obvious the one who is a die hard fan of poker has to play the tournaments at least once in a lifetime. Players in this tournament requires a long time playing sessions that will let them know about their limits. At BAM casino parties, we know what it is to win a tournament with a few or many number of players in your game. You being the only player at the table with the chips is one of the best feeling you will ever experience. The poker tournament will begin at a particular scheduled time. 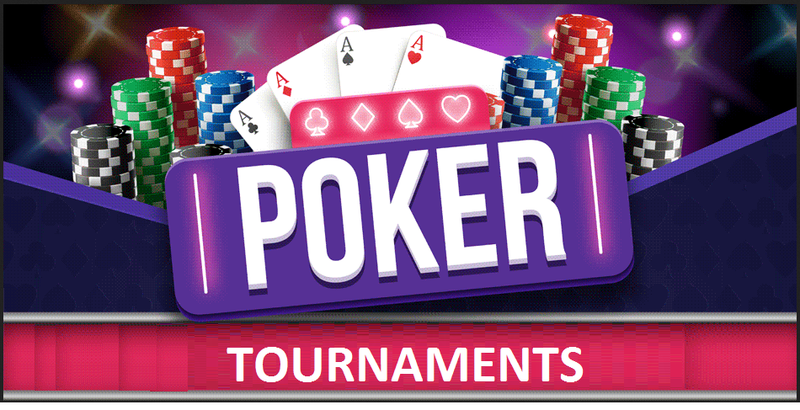 The details of every online poker tournament including the duration, levels and blind levels will be displayed and BAM casino parties possess the right to delay or cancel the tournament. The seat is randomly assigned to the players. BAM Casino Parties does not players to change the seats during the tournament. The prize payouts will be done as all the addons, rebuys or re-entries have been completed and the registration is closed. Prize may vary as per the number of players and rebuys. In order to have a successful registration in Poker tournament a player needs to have his funds available in the account. The players can re-enter as many times as they want to in the tournament. Poker tournaments are a great way to learn the game without taking any risk. Let’s provide you a few general insights into the tournament strategy for the players. It’s all the way to survival. The survival of the fittest. In tournaments, always know how your stack compares to the ever blinds and how many chips you have. As soon as your chips are gone, you are eliminated and had to leave the play. Make use of your time wisely. Don’t just blow away the budget on wrong buy-ins or other wrong moves instantly. Think before taking any next move. Play as tight as possible in the beginning. Just try to relax during the initial levels . No need to rush things in case of inexperienced players as you don’t know how maturely other players at your table plays. In case of inexperienced player the opponents will most likely be ready to make an offer way below the value of your chips. Just politely reject those offers. Yes, poker is a game where you can definitely earn a lot but just try to fund your bankroll with the extra cash and your winnings!